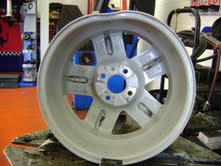 Our workshop has a wheel straightening machine which can press out a damaged alloy wheel. 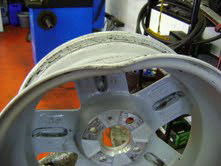 Occasionally the alloy wheel can crack. 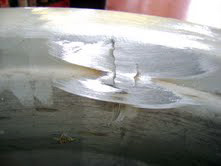 If this happens, we ensure you are informed, and we can also arrange for the cracked alloy wheel to be welded. 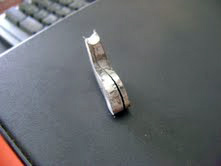 Alternatively we can cut out the cracked section and weld in a new piece. 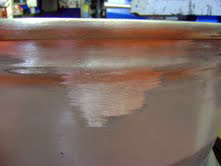 These cost of these repairs works out much cheaper than purchasing a new alloy wheel. Blackboots and Wheels in Motion offer new tyre fitting, bespoke wheel alignment and geometry services at our state of the art workshop facility in Chesham Buckinghamshire. We fit a complete range of tyre brands across all types of car from high performance and super cars to prestige models and family cars. 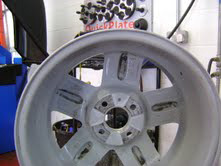 Unlike a typical fast fit tyre centre, Blackboots and Wheels in Motion's service is completely bespoke but at genuine value for money prices. Compare our prices to the fast fit operators and then come and experience the Blackboots and Wheels in Motion difference.